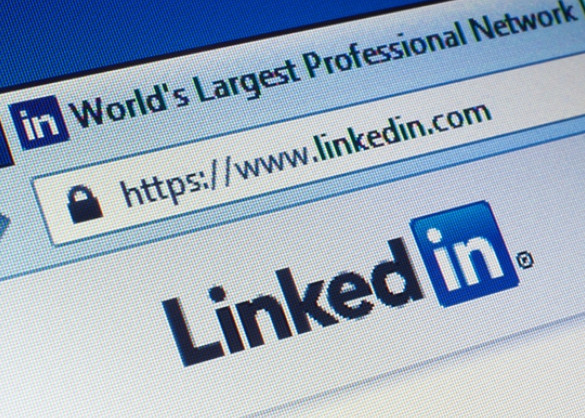 Treat LinkedIn like a search engine. The big thing people don’t understand is that LinkedIn is a search engine just like Google. As a freelancer, you want to optimize your LinkedIn profile so the search component of LinkedIn makes it easy for people to find you. Then, once they find your profile, you can have samples of your work in there—YouTube videos, PowerPoint presentations, even documents you put on Dropbox or Box. By putting all that content right in your LinkedIn profile, that helps people hire you directly or want to refer you to their own clients, which is one form of a strategic alliance. 2. Take advantage of LinkedIn’s Advanced Search function. Another thing most freelancers are not aware of is that LinkedIn’s Advanced Search lets you search by many different criteria you find in people’s profiles. You can search by job title, company size, geographical location… and many more. Plus, you can set these up as automated searches once you know who your ideal referral partner is. LinkedIn runs these automated searches continuously, every week, and delivers leads to your inbox of potential people you should connect with. 3. Use a “reverse psychology” approach. If you’ve done a lot of work in a particular industry and want to contact an influencer for that industry, here’s a great way to do that: Instead of contacting them directly, just view their profile and then don’t do anything for a day or two. That person will see that you viewed their profile, and very often they will reach out to you. It’s a great little trick. 4. Get others to view your profile. The best thing you can do to get others to view your profile is to create a better profile. Start by adding a good professional headline—don’t put your job title or your company name like so many other freelancers do. If you put a really compelling title on your profile that shows up all over LinkedIn, people are more likely to want to learn more about how you can help them. So, what makes you different as a freelancer? How do you help people? What do they need? What’s their biggest problem? Flip it and focus on what you can do for them. 5. Treat people the way you’d like to be treated. Treat people like you’re meeting them in person—don’t treat them like an electronic transaction. Build the relationship. Don’t try to sell them; be of service to them first—perhaps by referring someone to them—and you’re likely to get their undivided attention. Then you can leverage that attention to gain referrals from them.